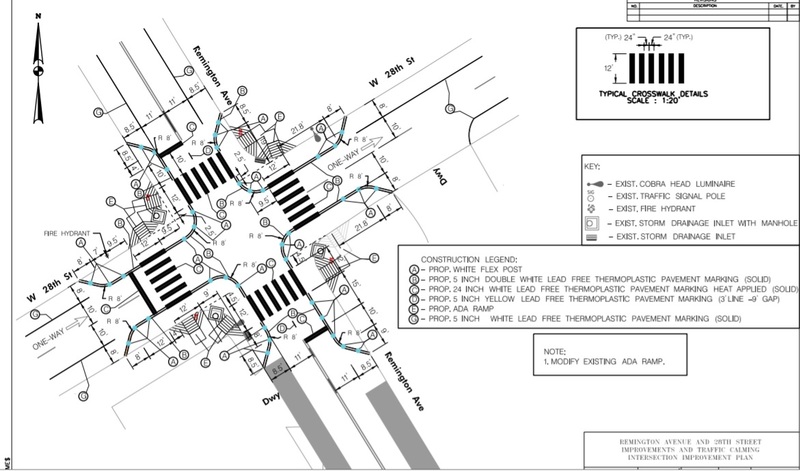 – It will shorten the crossing distance for pedestrians as they cross both streets. 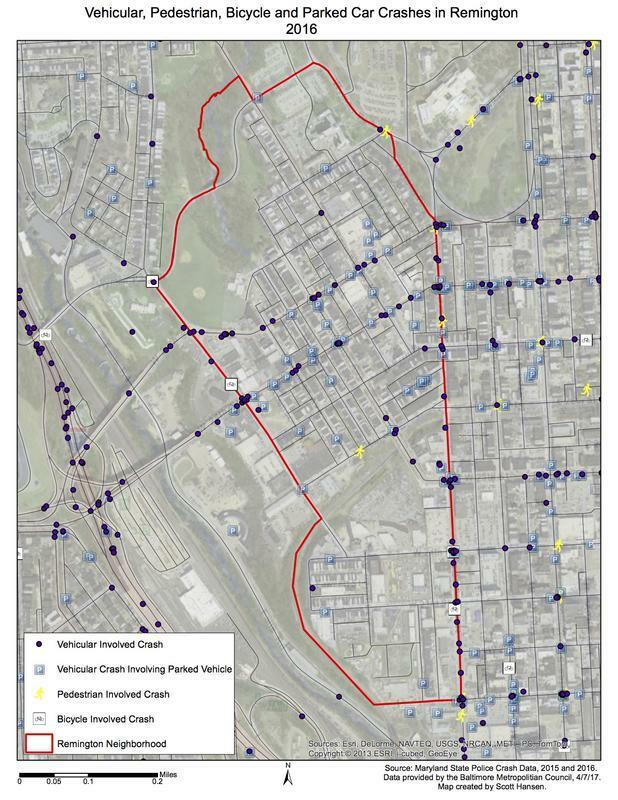 28th and 29th Streets carry high loads of vehicles – typically seeing between 12,000- 14,000 cars per day on each road, which is even greater than many downtown Baltimore streets. Vehicles drive well over the speed limit, which makes it difficult for neighbors to cross safely, and there are frequent accidents. 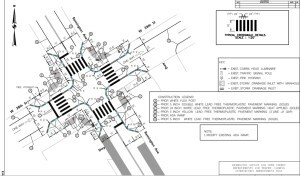 For many years, GRIA has been advocating for short-term improvements to 28th and 29th Street while a longer-term redesign of these roads is considered. 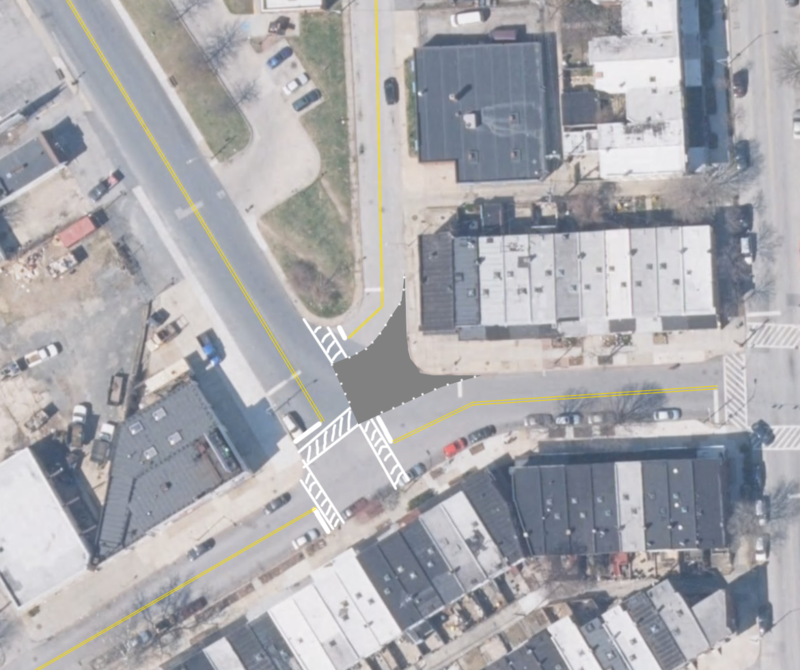 After meeting with GRIA board members in summer 2016, Baltimore City’s Department of Transportation agreed to install traffic calming on Remington at 28th and 29th Streets. 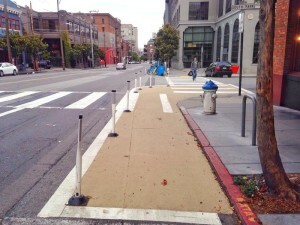 They plan to add flex-post curb extensions. 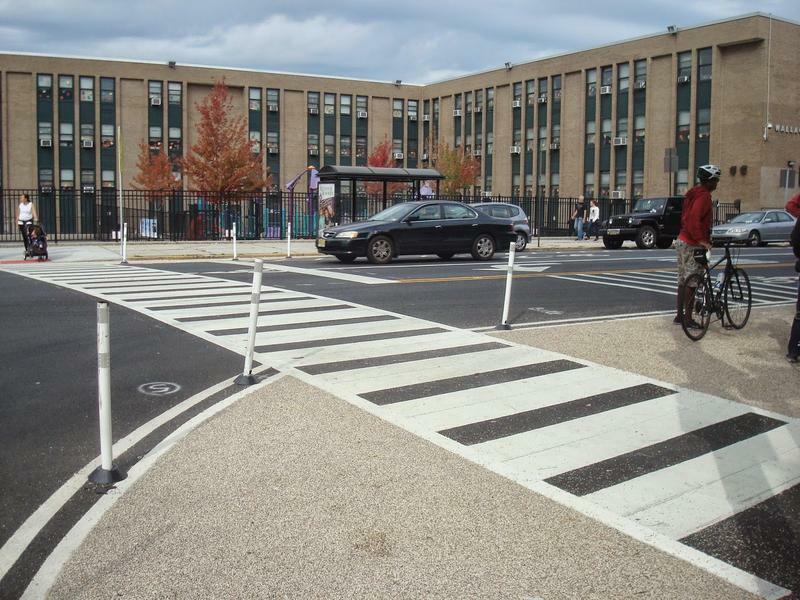 These posts will reduce crossing distance for pedestrians and force cars to slow down while making turns. 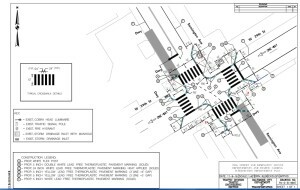 These improvements were slated to be installed in late-October/early-November 2016, so we should expect them soon. 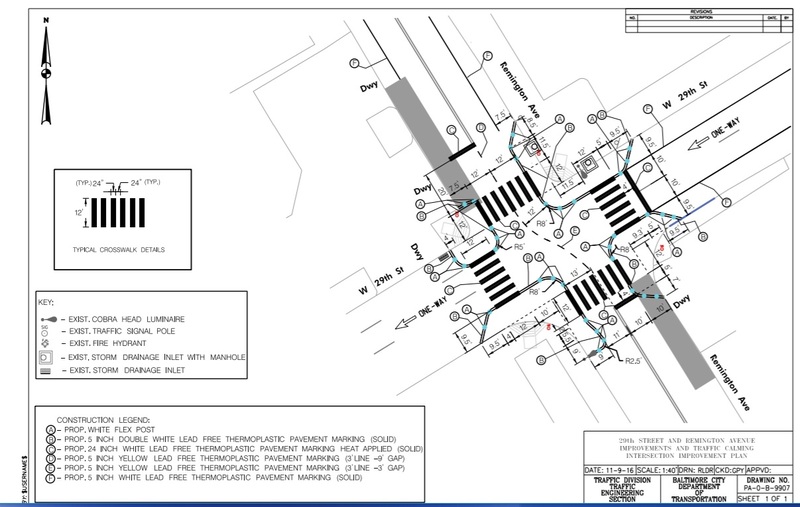 Once the flexposts are installed, we hope that the Department of Transportation will approve our application to add art in the right of way (crosswalks and intersection) to supplement the traffic calming at these locations. We plan to hold community conversations about the art throughout the winter and spring of 2017, especially with neighbors on the blocks adjacent to the intersections at Remington and 28th and 29th Streets. Stay tuned on NextDoor, Facebook and your mailbox for more information! Other traffic calming initiatives along 28th and 29th Street, including at the intersections of Huntingdon Avenue and Sisson Street are also on GRIA’s agenda to address with DOT. DOT has determined that the full scope of recommendations would be expensive enough to be considered a “capital improvement.” The City’s process to fund capital improvements requires that community have a “master plan” approved by the Planning Commission. GRIA has submitted our neighborhood master plan and hopes that it will be approved by the commission by Spring 2017. 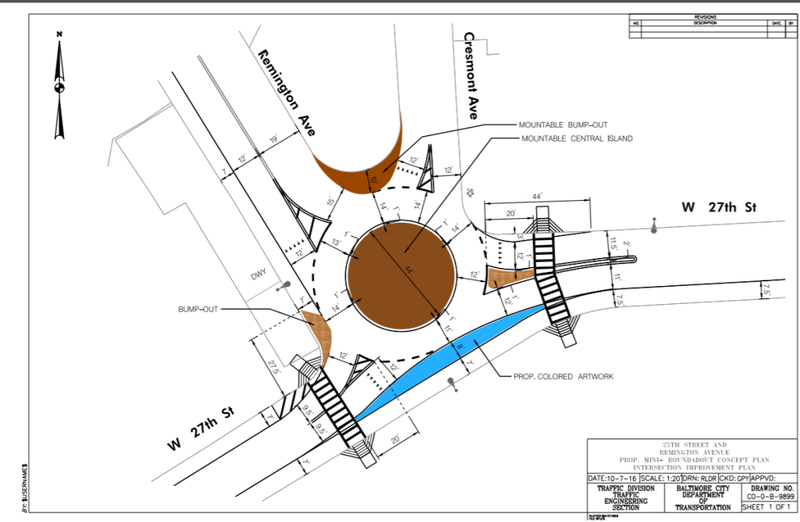 Traffic circle on 27th Street at Remington Ave. 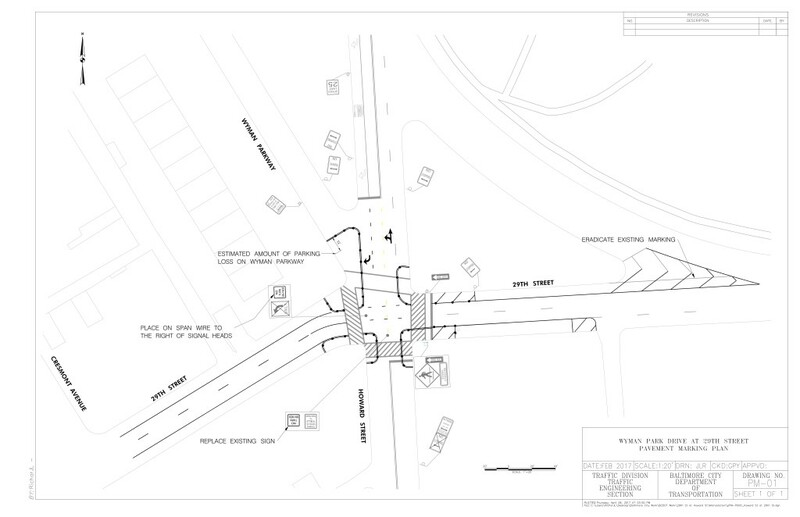 The intersection at 27th and Remington is confusing for pedestrians, vehicle drivers, and bicyclists. 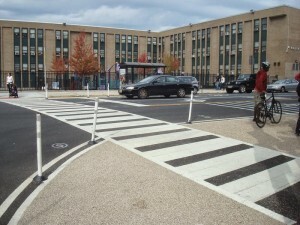 Three streets come together in a five-way way intersection, with no pedestrian crosswalk striping. 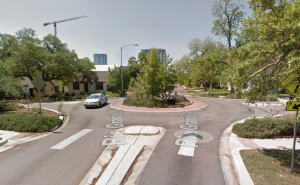 A traffic circle is one approach to addressing the redesign of this intersection. DOT is currently exploring designs for a traffic circle, but has informed GRIA that the cost may be prohibitive as the traffic mitigation dollars tied to the Remington Row development are currently allocated to study parking only. There is no current source of funding for this improvement, but neighbors and GRIA will continue to advocate for construction funding to be included in the Pugh administration’s budget. 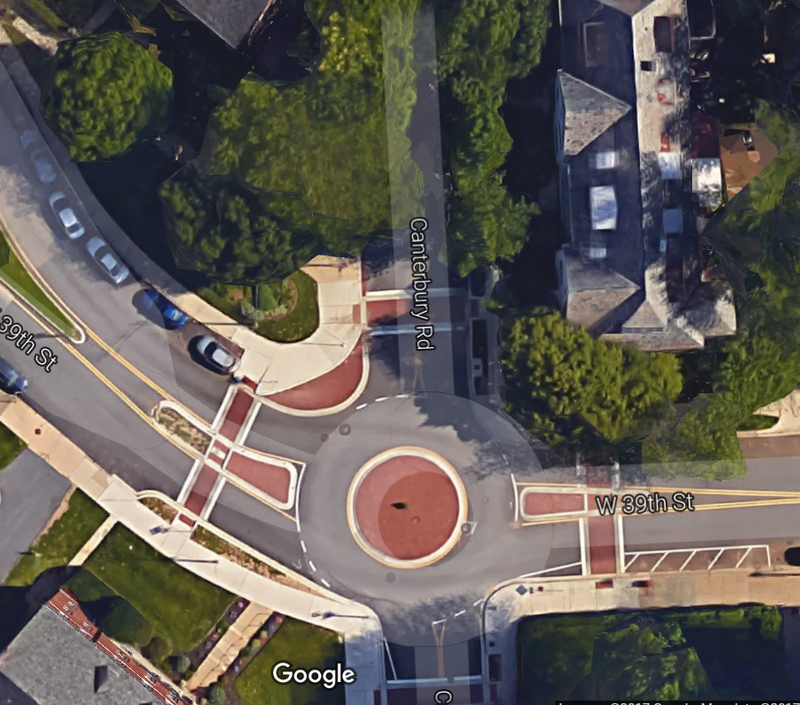 Some exploratory concepts for how to redesign the intersection are below, with various options to include pedestrian crosswalks, traffic circles, and extended curbs to redirect traffic and stormwater. Please note that none of these are funded, planned, or final designs. GRIA has been coordinating with the Department of Transportation to free up additional on-street parking spaces in Remington south of 25th street, in response to some residents concerns about increased vehicles from patrons at local businesses. We have asked them to increase parking on Huntingdon Ave. south of 23rd by installing reverse-angle parking or allowing parking on the west side of Huntingdon (2100 and 2200 blocks). 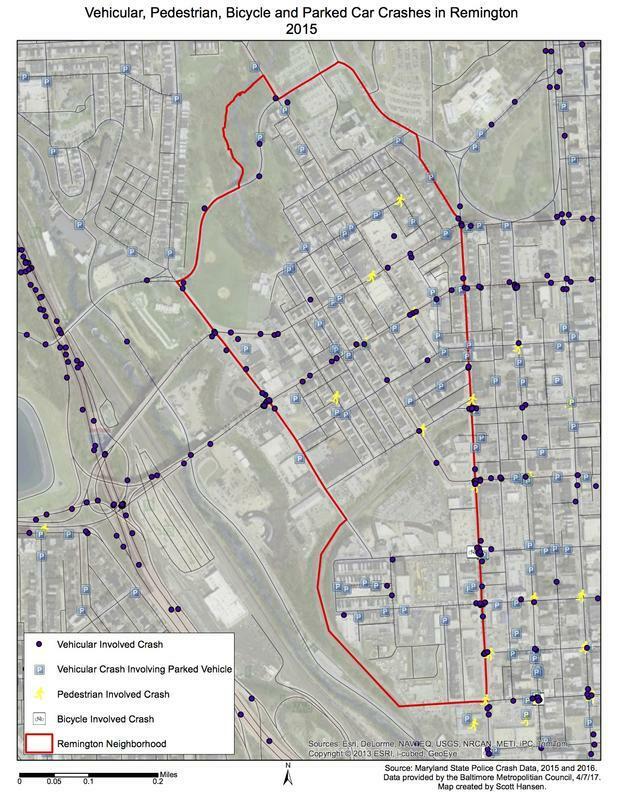 We have also asked for an audit of signage and meters on 23rd Street and Sisson Streets to see if there are additional spaces that could be used by residents that are currently labeled as “no parking.” This initiative began in summer 2016; DOT has yet to return the results of the study. Click on the images below to zoom in. Data provided by the Baltimore Metropolitan Council, compiled by neighbor Scott Hansen.